Since 1999, Dr. Don has delivered high-quality wellness care to hundreds of Edmonton families wishing to optimize their health potential. From weekend warriors and sedentary office workers to hard-working parents and their children, all ages can enjoy the very best in customized chiropractic care at South Side Chiropractic. Dr. Don was an avid basketball player throughout high school. When he was 15, he began to develop tendinitis in his knees. For the next four years, he took an array of medications to help the pain, but nothing helped. During his year-long care program, Dr. Don’s chronic knee pain disappeared. “I was so impressed with the turn-around in my health that I switched majors. Dr. Don received his Doctor of Chiropractic from the prestigious Palmer College of Chiropractic in Davenport, Iowa, graduating in 1999. When he’s not helping practice members, Dr. Don spends time working out at Powerhouse Gym, or playing golf with his wife, Brandi, at River Ridge Golf Course. He’s served a seven-year term as the past president of the Edmonton Chiropractic Society and has just released his first book, The Underdog Curse, which examines the role of people-pleasing and how it affects our ability to heal. Brandi is a co-owner of the practice and a true partner in every sense of the word. She’s highly regarded as a top chiropractic leadership consultant and conducts seminars all over the world. 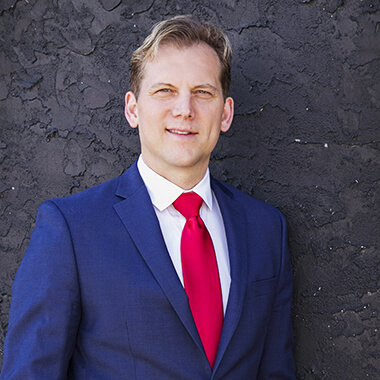 Dr. Kurtis Fischer is passionate about helping people live stronger, better lives, and assist them to reach their upmost potential through Chiropractic. 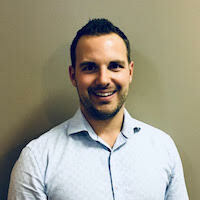 A graduate of the world-renowned New Zealand College of Chiropractic, is now proudly returning to his hometown of Edmonton after fouryears of study. During his time in Auckland, Dr. Kurtis served as an Intern Representative, on Student Council, and as the president for two on-campus clubs for most of his time as a student, being in close liaison with all college students, staff, and faculty. Dr. Kurtis was the recipient of the International Student of the Year award (2016, Independent Tertiary Education New Zealand), and the NZCC Student of the Year (2017, NZCC Alumni Association). In his spare time, (when he is not cheering on his beloved Edmonton Oilers), he can be found travelling, at the local outdoor hockey rink, golfing, or relaxing out at the lake fishing or boating with his family and friends. Dr. Kurtis is excited to be apart of the South Side Chiropractic team and is looking forward to meeting you and your family. We’d love to have you join our happy chiropractic family. We’re very accommodating, providing Saturday and early evening hours. Get in touch with us today!